KIRYANDONGO – The Deputy Inspector General of Police, Maj. Gen. Sabiiti Muzeeyi on Tuesday toured Karuma Hydropower Project in Kiryandongo District to asses the security at the plant. Maj. Gen. Sabiiti also inspected the ongoing works at the project to see where it has reached. He assured the contractors of Police’s commitment to providing security to the installation. “This is one of the vital institutions that we are supposed to provide security to and we shall do that as our mandate provides,” he said. According to EPCC Sinohydro Corporation, overall physical progress is currently at 90%. Dr. Eng. 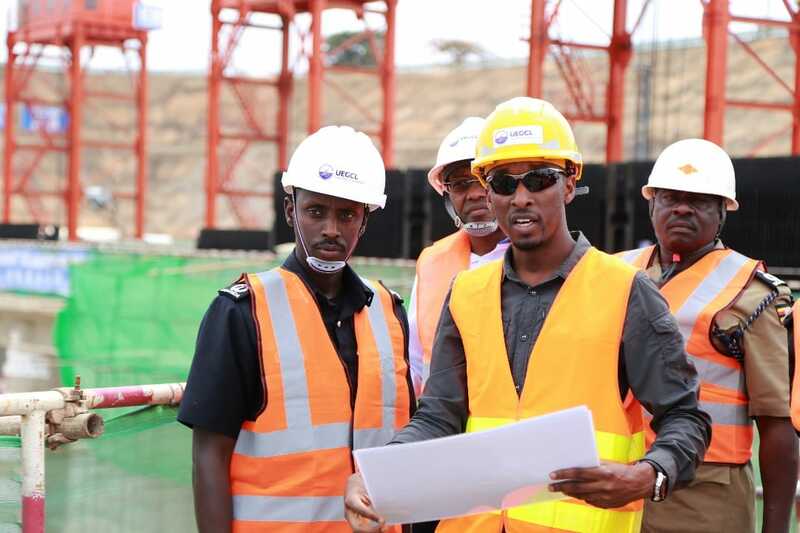 Harrison E. Mutikanga – CEO, UEGCL led the Deputy Inspector General of Police and his team on a guided site tour to the on-ground dam and intake, switchyard to the underground powerhouse, transformer cavern, surge chamber, outfall and lastly to the Permanent Employers Camp. Maj. Gen. Sabiiti and his team appreciated architectural marvel currently under construction by the government of Uganda with UEGCL as the government implementing agency.